Materials: Vanilla-white painted iron. Brass rod. Chromed knee joint. Cast iron counter weight inside. Bakelite socket. Green felt on the bottom of the base. Manufacturer: Gebr. Kaiser & Co. Leuchten KG, Lichttechnische Spezialfabrik (Light technical special factory), Neheim-Hüsten, Germany. 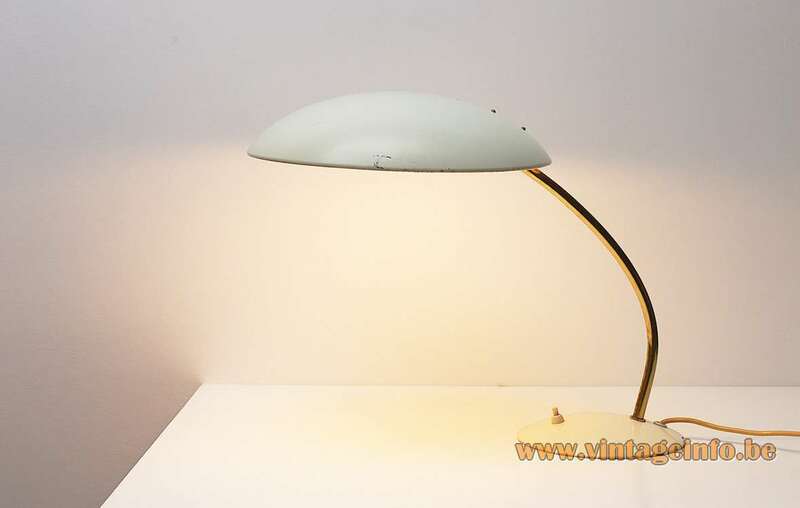 Other versions: Christian Dell designed many “Idell” lights for Kaiser Leuchten. The term “Idell” is a reference to the word idea and his surname, Dell. Christian Dell (1893–1974) was born in Offenbach am Main, in between Frankfurt am Main and Hanau in Hesse, Germany. From 1907 until 1911 he completed the silver forging studies at the academy, the “Königlich Preußischen Zeichenakademie” in Hanau. At the same time he served an exacting apprenticeship as a silversmith, spending the years 1907-12 at the Schleissner & Söhne silver factory in Hanau. In 1913 Christian Dell worked as a silversmith in Dresden before going to the “Großherzoglich-Sächsische Kunstgewerbeschule Weimar“, the Saxon college of arts and crafts in Weimar, were he met the Belgian artist and architect Henry van de Velde. Together with Victor Horta and Paul Hankar he could be considered as one of the main founders and representatives of Art Nouveau in Belgium. After serving in the army, Christian Dell was a day laborer in the period 1918-1920 and then went to work in Munich as a master silversmith for Hestermann & Ernst. In 1920 Christian Dell went to Berlin to work for the silversmith Emil Lettré. Dell returned to Hanau and from 1922 until 1925 he worked as a foreman of the metal workshop at the “Bauhaus” in Weimar were he collaborated closely with Hungarian constructivist László Moholy-Nagy and produced numerous designs for office and workplace metal light fittings. In 1926 he changed to the Frankfurt art school (Frankfurter Kunstschule). 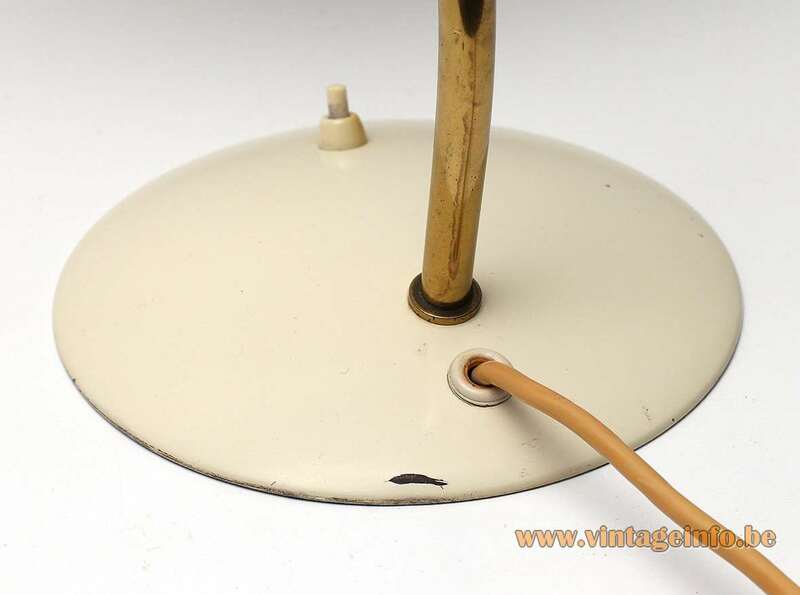 He designed a great deal of lighting, including the brass and nickel “Rondella-Polo” (1928-29) table lamp range (his real creative breakthrough) and the “Idell” range, which was mass produced mainly by Gebr. 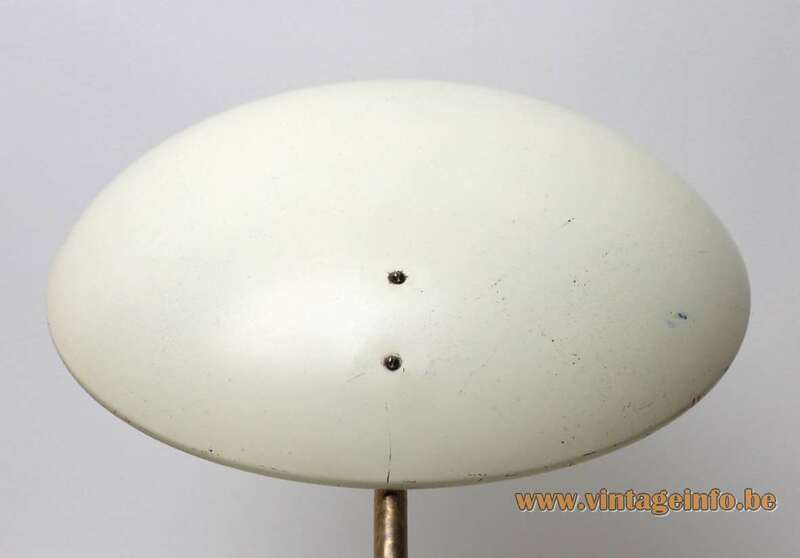 Kaiser & Co. Leuchten KG and later also by Bünte & Remmler. At the end of 1928, a number of Dell’s designs were featured in an exhibition at the Kunsthalle Mannheim, about craftsmanship in the machine age. The Nazi Party did not allow him to stay in the Frankfurt art school in 1933, but Walter Gropius offered him a job in the United States. However, Dell decided to remain in Germany. After World War II, Dell manufactured silver products and opened a jewellery shop in Wiesbaden in 1948, which he operated until 1955. He died in Wiesbaden in 1974. 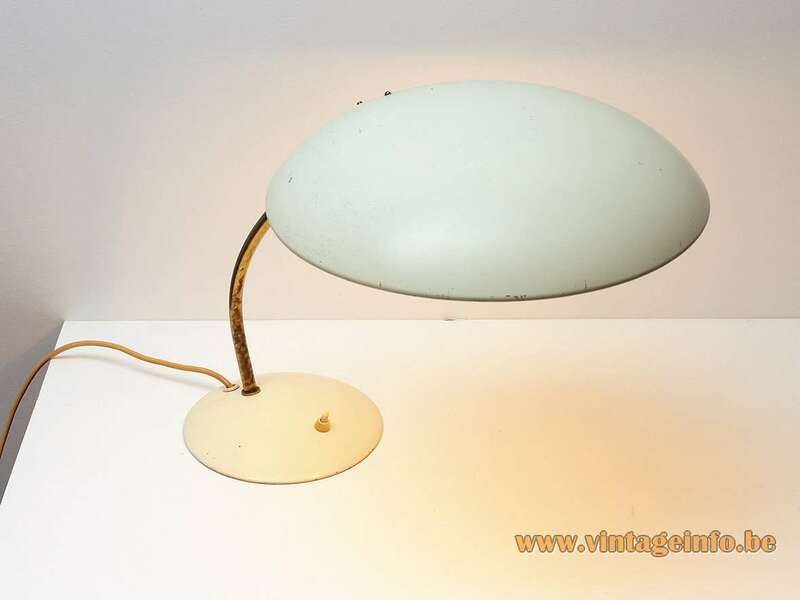 Several working lamps/desk lamps designed by Christian Dell are still in production and made by Fritz Hansen. Gebr. Kaiser & Co. Leuchten KG, Lichttechnische Spezialfabrik, Neheim-Hüsten was founded by Hermann Kaiser, who came to Neheim as a worker from Heddinghausen. With a brother and a participant, he became self-employed in 1895. 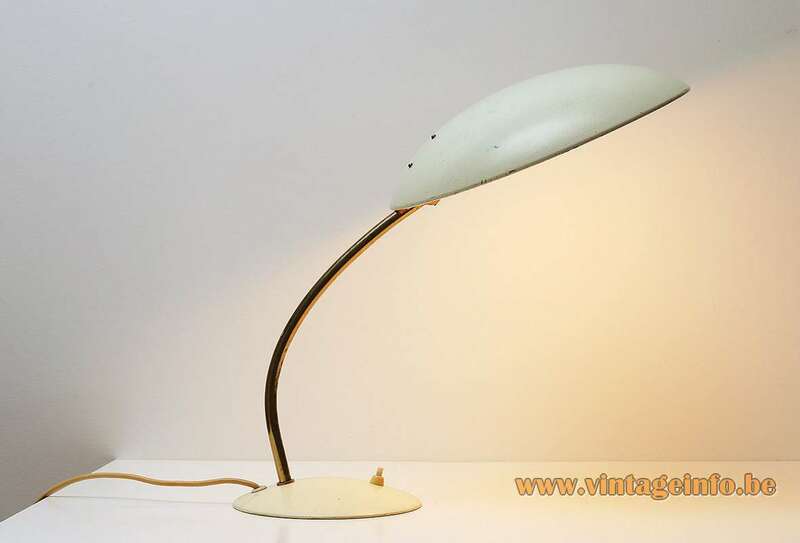 At the beginning, the company concentrated on the production of nickel-plated and copper-plated lamp parts for the already existing lighting factories. 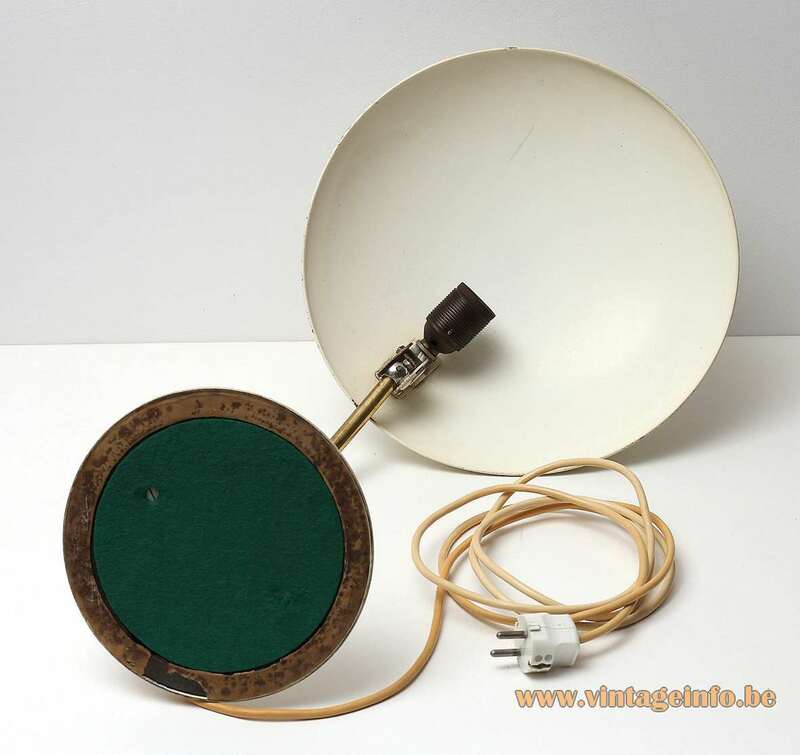 The economic breakthrough came with the development of a very cheap petroleum lamp made of tinplate. During the First World War the production was converted to war materials such as storm batons. After the war, the manufacture of electric lighting fixtures was expanded, and finally the whole branch of the business was transferred. During the period between the two world wars, the company developed into one of the largest lighting manufacturers in the region. not in the least thanks to the lamps designed by Christian Dell. As early as 1934 the number of workers was 350. This figure increased to about 600 to 700 employees until the beginning of the Second World War. During the Second World War the production plants were completely destroyed. After the war a strong enterprise expansion began. Between 750 and 1000 people were temporarily employed. Towards the end of the 1970s the company was acquired by Thorn Lighting Group. This became the property of an international investment company in 1993, and the remnants of production were transferred to Dortmund in 2000.